We were so happy that she loved her dress. 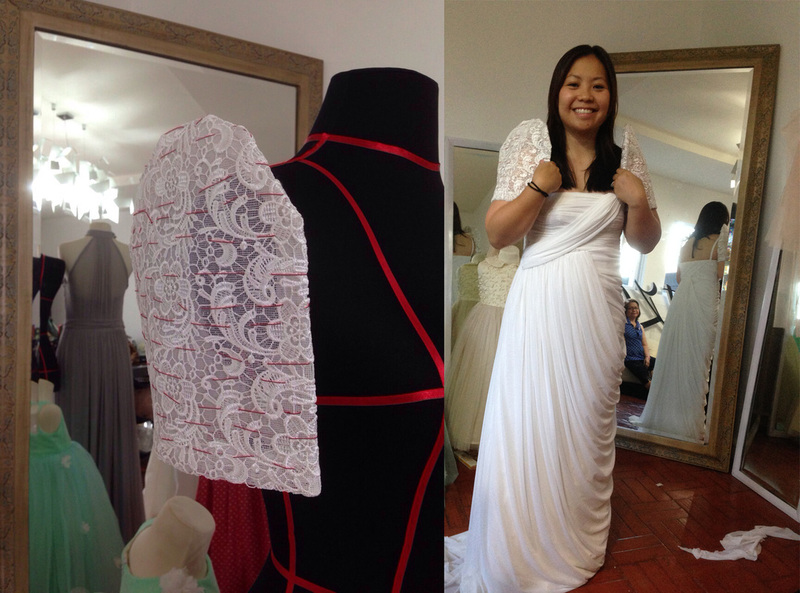 Even happier when she asked us to make her wedding gown! Bing didn’t want a Filipiniana wedding gown, but she loved her send-off dress so much that we knew it was going to be hard to top that one. Plus, she was only flying in 2 weeks before the wedding meaning she’ll only get to fit her dress once or twice. Thankfully, she loved it as much as we did. 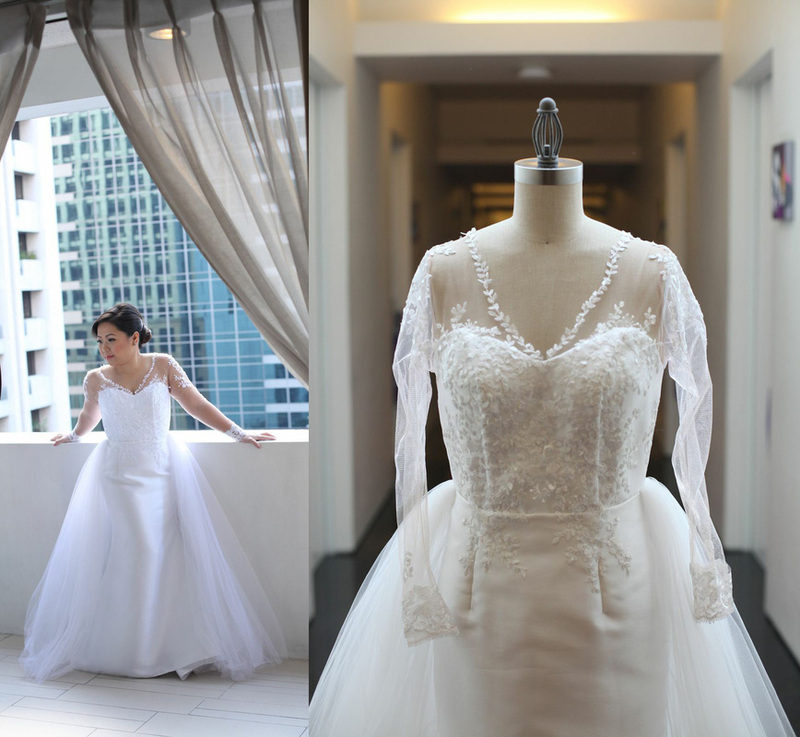 We were also surprised to find out that Bing also wore her Filipiniana dress to her reception for her second look. 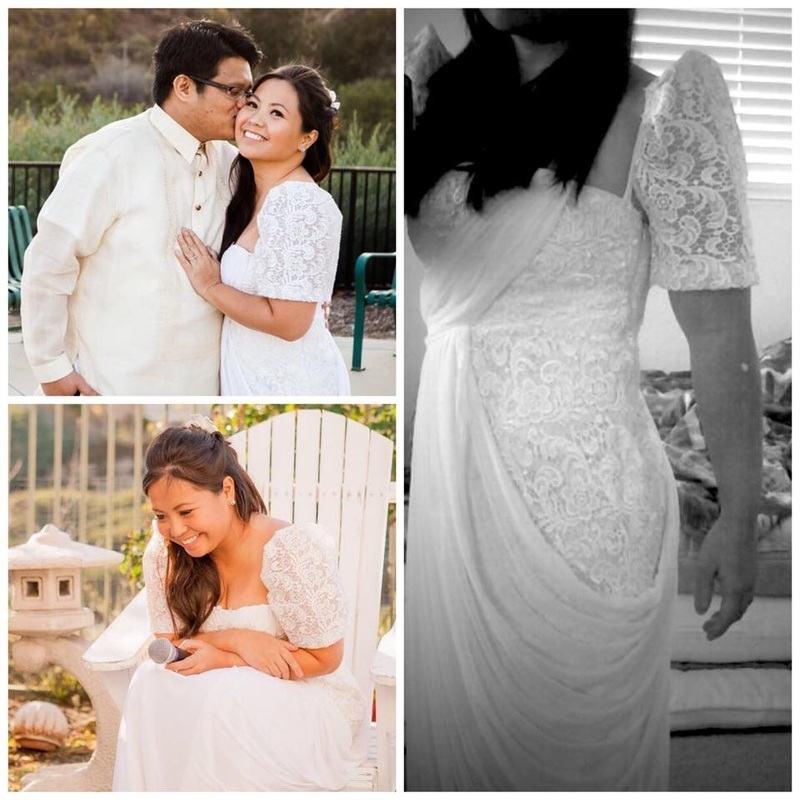 Nothing makes us happier than seeing our clients reuse their dresses. Thank you so much Bing and Tita Marites for letting us make your dresses!